Aloha! Chris here from The Kilt Lifters with another lesson on Recording for the Complete Novice. I hope everyone has had a great week and has digested the last few lessons. We covered buses last week, so now we can move on to EQ. While EQ and Compression will each receive their own lesson, it’s important to note that they have an effect on each other depending on how you order your signal chain. If you place your EQ before your compressor, the signal that the EQ is receiving ideally already has the peaks reduced by the compressor. If you place the EQ before the compressor, the compressor is then working on a signal that has been modified by the EQ. 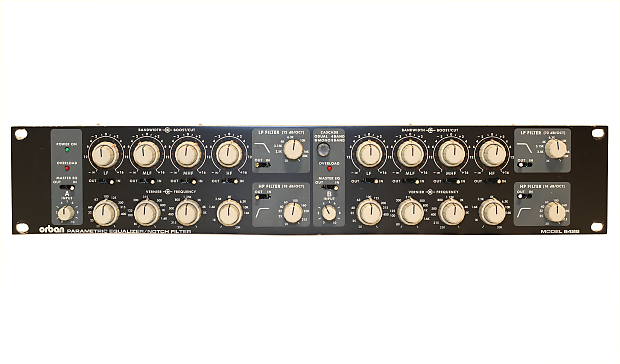 I often use a channel strip that allows the position of the EQ and compressor to be swapped with the press of a button. So, let’s start by talking about EQ and what it does. EQ allows you to cut (subtractive EQ) or boost (additive EQ) very specific ranges of your audio. EQ is extremely useful for dialing down frequencies that are annoying to the listener. To that end, I generally prefer to start with mostly subtractive EQ and boost very little to eliminate noise. Once that initial cleanup is done on the individual tracks, I will tend to listen to everything together and boost or cut additionally where needed so that the entire mix fits together without any instruments being unintentionally obtuse. Personally, when I’m working with familiar subjects, like my own voice, or any of the instruments I work with regularly, I have presets that are fairly close to what I want, then I fine tune the EQ to fit the piece. Another important function of EQ is to make room in the sonic spectrum for a given instrument. Often instruments have overlapping frequencies that can sound muddy in your mix. Remember, that when mixing, it’s not much different than being on stage with a band. It doesn’t matter if you are fulfilling your sonic dreams with your penultimate guitar tone if it’s clashing with another instrument. It’s about blending them together artfully to create a good overall experience for the listener. If I’m EQ’ing a keyboard part, I’ll very likely cut the low end so it doesn’t step on the bass. Besides, we all know that they keyboard player should be sitting on his left hand with a bass player in the mix! The best advice I can give for EQ is to look up any number of frequency charts, like this one, in order to start to familiarize yourself where various things fit in the sound spectrum. This will help you to find a good starting point for your adjustments. I would also recommend an ear training program for audio production, like this one. There are a couple of different types of EQ. Parametric EQ’s allow you to adjust the width and and frequency of a specific bandwidth and modify it. They will usually have a knob or setting for frequency, a knob or setting for range or bandwidth, and a knob or setting for adjustment. Usually they will have at least two sections, one for low, one for high, but may have three, four, or more sections for different frequency ranges. Graphic EQ’s are just that. They show a graphic representation of the entire frequency range and allow you to modify frequencies by selecting them visually across the spectrum. One advantage of a parametric EQ is that it allows you to really train your ears to various frequency spectrums because they don’t show you a visual representation. They force you to listen. The last thing I’d like to mention is that like any other effect or processing, it’s important to have a goal in mind. If you like the sonic profile of your track, don’t EQ it! EQ is for adjusting the sonic profile of your track with an intended goal in mind. That’s it for this week! Feel free to drop a comment or question below, or, if you’re feeling particularly adventurous, you can buy my album! Previous Previous post: Things look very different from the stage, part 7. Next Next post: Lessons about performing, lesson 38: Maintaining Relationships!